My Very Own Ugly Ball! I just posted my review of the DailyHiit 30 Day Challenge earlier today – what a journey that was! So check it out if you are looking for a great total body fitness program that you can get done in 15-30 minutes a day. One of the pieces of equipment they use frequently is the Ugi Ball. It is a weighted, squishy ball that you can use like a sandbag, or to balance on when doing exercises. It has enough firmness to offer support, but is unsteady enough to make you use muscles to keep your balance better. They are really nice looking, and generally the reviews are extremely positive, but for the price, I just couldn’t bring myself to purchase one (of course if anyone wants to send me one to review, just send me a message 😉 ). 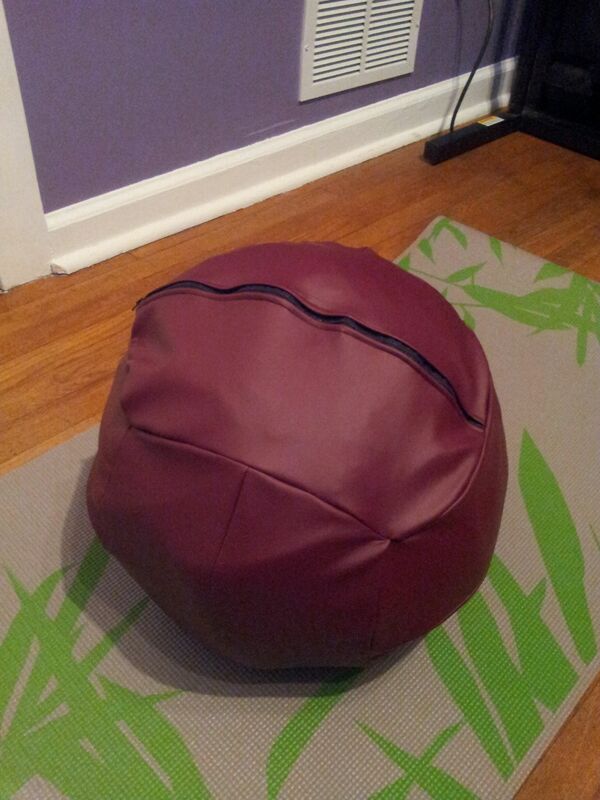 So I poked around the intarwebs a bit and discovered this gentleman’s homemade version, which is dubbed the Ugly Ball. Having been around a sewing machine enough that I didn’t feel too intimidated, I printed out his pattern and set out to find material. My local craft stores did not offer what I needed, but having a business that sells massage therapy equipment means I have contacts with manufacturers, and one of my representatives was kind enough to find some material they use to upholster massage tables and chairs with. It’s perfect for this project, because I know it is soft but very durable. I picked up some foam, some quilting batting, matching color thread and a 14″ zipper and set to work. Can’t wait to be able to use it! 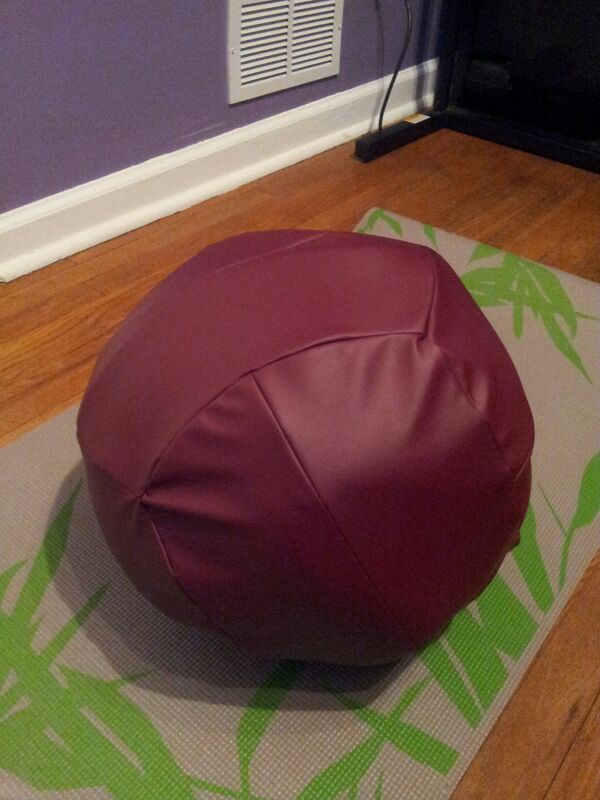 Posted on March 11, 2013, in Fitness and tagged DIY, exercise equipment, fitness, ugi ball, ugly ball. Bookmark the permalink. 2 Comments. It doesn`t look ugly to me. It almost looks cute!